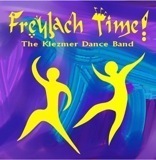 is one of the most popular klezmer bands in North Carolina. The core trio, formed in Durham, North Carolina, in 1998, features Riki Friedman on clarinet, Mike McQuown on accordion, and Stewart Aull on string bass. Karen Kumin sings with the group whenever Yiddish songs are requested. 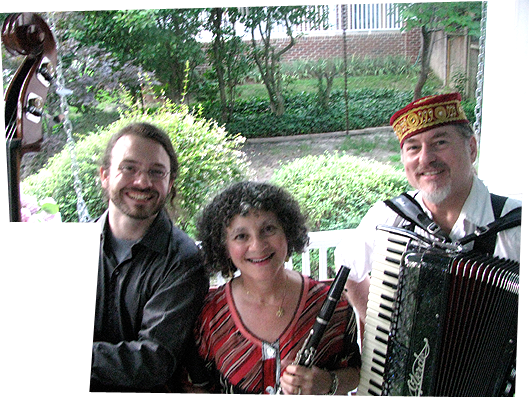 They have performed klezmer music together at countless concerts, weddings, bar & bat mitzvahs, and Jewish community celebrations throughout N.C. and surrounding states. This is the group to hire if you want joyful dancing at your simkhe.